Nurse Jordan Canoy attends to a 4-month-old infant who was born premature and was transferred to St. Louis Children's Hospital, where he being treated for multiple medical conditions. In the neonatal intensive care unit at St. Louis Children’s Hospital, doctors and nurses bustled in and out of rooms with small beds and brightly-colored construction paper taped to windows. Four doctors stood with their wheeled computer desks outside the room of a premature baby boy who was admitted two weeks earlier. There was a lot to discuss, since the young patient has a hole in his heart, liver problems and multiple infections. They talked about what antibiotics he was on and noted the number of days the infant has been taking them. Pediatricians are changing how they talk about about antibiotic treatment for preemies, due to the growing threat of drug-resistant organisms and recent research on the long-term effects of early antibiotic exposure. St. Louis Public Radio's Eli Chen reports on how doctors are changing how they use antibiotics to treat premature infants. Doctors want to choose antibiotics that are strong enough to treat the infection, but at the same time, they don’t want to apply so much pressure to microbes in the infant’s body that it causes them to develop drug resistance, when bacteria develop the ability to defeat drugs designed to kill them. At St. Louis Children’s Hospital, doctors are trying to improve the way they treat patients with antibiotics. They aim to use antibiotics that have a “narrow spectrum,” or just target the pathogens causing the infections that need to be treated. They also aim to carefully monitor the amount of treatment time. “It used to be we never put in a stop date, so antibiotics would sometimes run over. Now, we put a hard stop date with we start them,” Warner said. Doctors discuss antibiotic treatment for a prematurely born baby boy who has multiple conditions and infections. Research by Warner and scientists at Wash U indicates that treating preterm infants with antibiotics could create long-term health problems. She has been collaborating with microbiologists at the Washington University School of Medicine who have been comparing the microbes in the guts of children born at term with those born prematurely. The microbes found in the guts of preterm children didn’t look healthy, said Gautam Dantas, professor of molecular microbiology at Wash U. 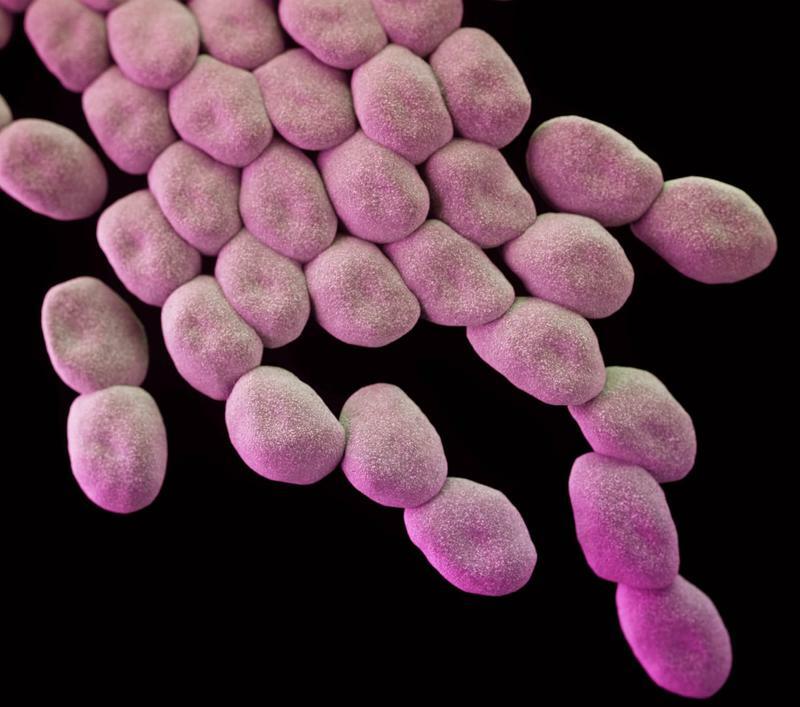 “They almost looked like the type of bugs you read about on the CDC website, the multidrug-resistant organisms that are generally associated with nosocomial infections, or the infections you get in the hospital,” Dantas said. He and his colleagues found that exposing infants to antibiotics early in life has opened the door for resistant microbes to move in and colonize their bodies. Dr. Barbara Warner, a neonatologist at St. Louis Children's Hospital, is studying the risks of treating premature infants with antibiotics. It's important to monitor the "spectrum" and the length of time antibiotics are being used, she said. “We are building up this evidence base to show that maybe we need to start decreasing that the amounts that are given, for instance, directly at birth,” Dantas said. It’s possible that early antibiotic exposure could interrupt the development of the child’s microbiome, or the community of bacteria that the human body depends on, he said. Giving a child antibiotics could lower the diversity organisms that live in the body, which is associated with conditions like asthma and early childhood obesity, Dantas said. But the link is still speculative and more research is needed to establish that connection. Detecting an infection in an infant is challenging because their bodies are so small. Doctors often can’t safely draw enough blood to confirm that they have one, Warner said. “Their blood vessels are so small and if you’re talking about a baby who weighs a pound, you're really talking about less than a teaspoon of blood to be able to identify what organism is there,” she said. Dr. Jason Newland directs the antibiotic stewardship program at St. Louis Children's Hospital. To help doctors, St. Louis Children’s Hospital has an antibiotic stewardship program. Many hospitals across the country have adopted them to encourage more responsible antibiotic use. Dr. Jason Newland, who directs that program for St. Louis Children’s Hospital, receives a daily list of children on antibiotics. Then, his team of physicians and pharmacists discuss treatment strategies with doctors. He added that overprescribing antibiotics also could lead to adverse drug reactions, like rash and vomiting, that could put the child at risk of other kinds of health conditions. Ultimately, the increased attention to antibiotic treatment does improve patient care, which families of patients can appreciate. Katrina Sanders, the mother of the premature baby boy with multiple medical conditions and infections, recalled her son being on multiple antibiotics. “They dropped those and went to the necessary ones and that was really nice that they transferred to one antibiotic, instead of using a couple different ones,” she said. For St. Louis Children’s Hospital, the changes in antibiotic practices have been happening for the last two years. But given the challenges, Warner said figuring out the course of treatment for an extremely vulnerable infant remains a moving target. 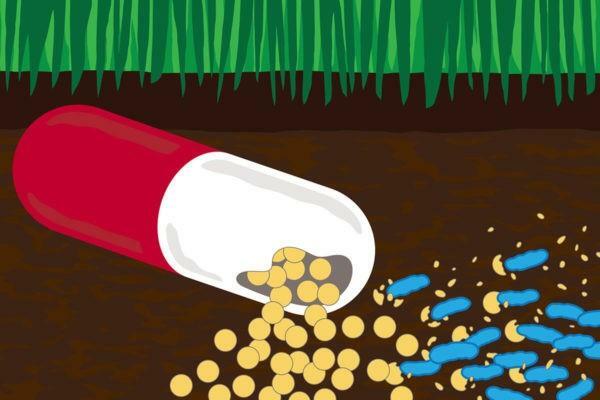 Ten years ago, Gautam Dantas stumbled across a strange phenomenon in the lab: bacteria that were able to feed on antibiotics. 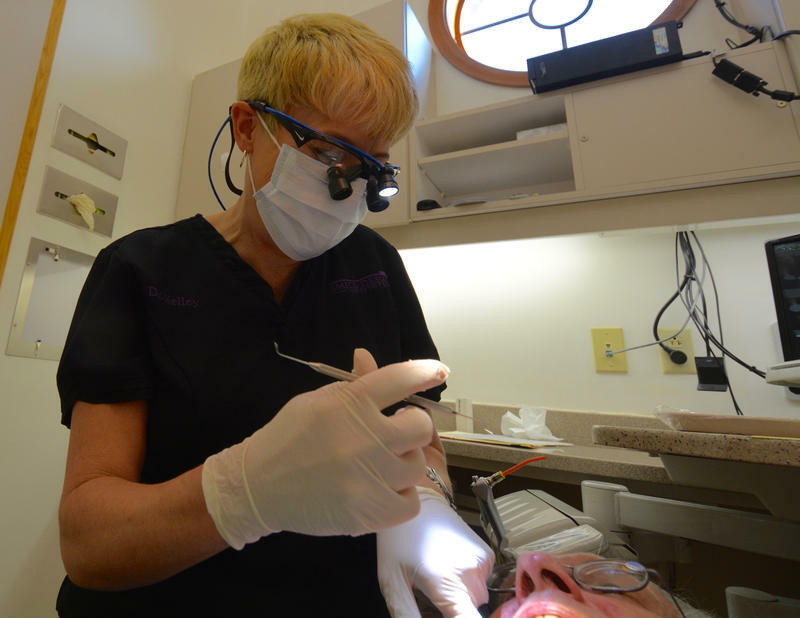 Research underway at Washington University seeks to reduce antibiotic use by focusing on a prescriber who doesn’t get too much attention: your local dentist.